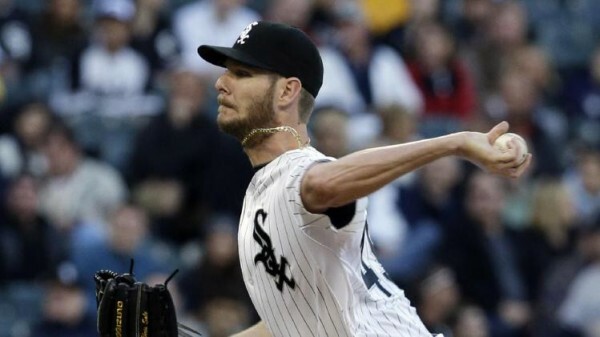 Considering how well the Chicago White Sox have been hitting this season, the return of Chris Sale to the pitching mound to play his first game in over a month is a substantial addition to the team, getting behind their star pitcher to beat the New York Yankees 3-2 as a combined effort held the shutout all the way into the ninth inning. The Yankees, through a Mark Teixeira double-RBI single, got their runs and weren’t far from somehow stealing this game, but an excellent six-inning performance from Sale, giving up just one hit while striking out 10 to improve his record to 4-0 with a 1.89 ERA was enough of a cushion for the White Sox to fall back on. Ronaldo Belisario slightly got jammed in the ninth but still came up with the save, his second of the season. Not that the White Sox had the best of hitting days themselves. David Phelps did a good job in his seven innings, striking out eight batters while giving up six hits. He still picked up the loss, his first of the season (1-1, 3.18 ERA). The White scored twice in the second innings – first thanks to a ground rule double from Alejandro de Aza which scored Paul Konerko, followed by Adam Eaton with a single that brought home Tyler Flowers. The White Sox took a 3-0 lead with Adam Dunn getting his 19th RBI of the season, a single that helped Gordon Beckham score as Alfredo Acevens didn’t do too well in the short time he was on the mound for the Yankees. The Yankees finished with an awful 3-for-30 on the mound, with only Zoilo Almonte, Ichiro Suzuki and Teixeira getting hits, while Jeter was the only player to even walk in the game , with Sale’s superstar performance carrying over to the relieving crew. Sale carried a no-hitter into the sixth inning before giving up the hit to Almonte. He retired the first 17 batters he faced, playing for the first time since April 17, and left the game after throwing 86 pitches, finishing with striking out Jacoby Ellsbury as the Yankees fell to 24-22, while the White Sox are now only one game below .500, which puts them six games behind the Detroit Tigers in the AL Central but in a decent distance to be considered a wild card threat. The White Sox weren’t planning on using Sale for too many innings, but his no-hitter wouldn’t go away, so they were forced to use him until he gave up that hit. Manager Robin Venture joked that it was probably the happiest he’d been seeing his pitcher giving up something to the opposition, knowing it’s time to take him off from his comeback effort, which was close to perfection. I don’t think there’s anybody he can go up against where we feel like we’re behind the eight ball going in or we’re the underdogs. There’s definitely some pitchers in the league that have the same type of ring to their name and the same type of makeup and stuff. But we’re just fortunate we’ve got one of them. As mentioned, the win was almost taken away from them. 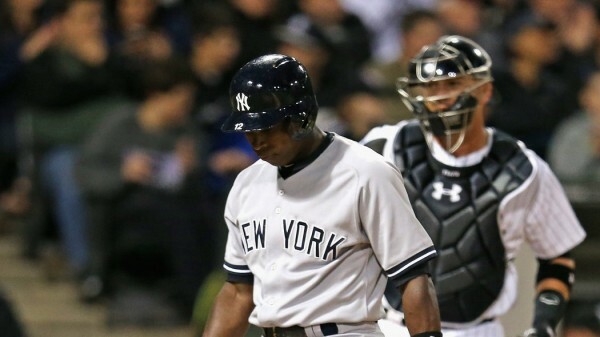 After Teixeira hit the double-RBI single, Alfonso Soriano took his duel against Belisario to a full count, 3-2. Soriano was left looking as Belisario struck him out to pick up the save and seal the win, but the Yankees’ veteran right field who went 0-for-4 on the day was convinced it was a ball that should have allowed him to walk, and the umpire got things wrong.